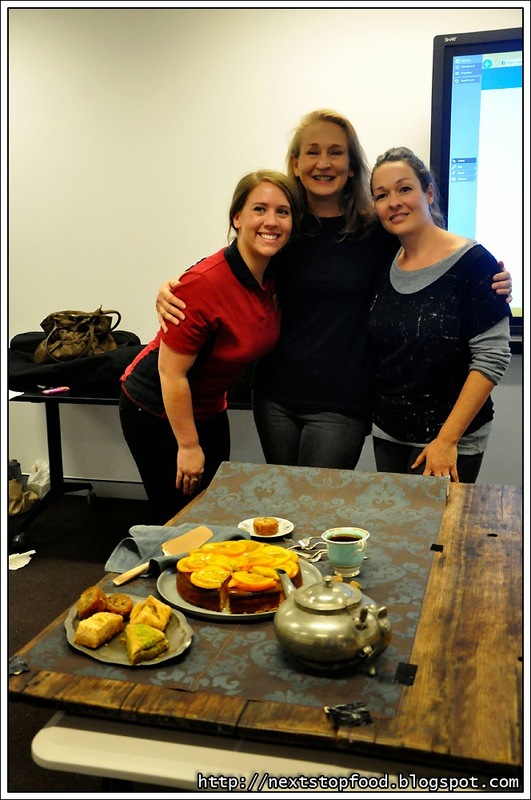 Feli and I were invited to an exclusive master class with food stylist Janet Mitchell and photographer Tanya Zouev. These two lovely ladies have been working together for years and well known in their industries. Janet is a professional food stylist with over 15 years of experience and Tanya is a professional photographer who has worked with many famous companies. This master class was a wonderful experience and perfect chance for me to test out my new camera. During this workshop I learnt that not everything is as it appears in the photo! Janet wanted to demonstrate to us a front on view and an overhead view with the same dishes and props. It is amazing how different a photo could be just by changing the angle and moving a few things around. To start off Janet prepared a Caprese salad, which consisted of tomato and mozzarella slices. The dish was then placed on a white painted table and the layout consisted of the follow: Caprese Salad, Olive oil, pepper grinder, bowl of Tomatos, bread pieces and Basil leaves. With Janet’s expertise and Tanya’s amazing photography, this duo is quite the power team! Once they laid out all the props, they continued to take photos and moving objects around until it was perfect. To my untrained eye, the image looked perfect minutes ago, but as they continued to add more items and detail to the canvas the picture started to come to life. The below is the overhead shot, the Salad is rearranged so it stands out. Previously the tomato and mozzarella was stacked, but by simply spreading them out, the overhead shot can capture the salad from its best angle. Each aspect of colour is carefully laid out and placed to contrast and blend in with each other. Who knew a simple salad and everyday props can create an amazing photo?! Next up, Janet brings out an orange cake she prepared earlier. For the eye level photo shoot they laid the props on a brown table and put a wall paper behind the table. They advised us that adding textures and colours to the image using props can really make the dish POP out. Next was the drizzling of the sauce on the cake. Janet said you only get a few seconds to take the photo when working with sauce, dressing and chocolate as it quickly sets or goes soggy. Tanya and Janet then showed us what the overhead shot would look like of the orange cake. Tanya then repositioned her camera on top of the table top to take the shot from above. They then repositioned the props and filled in the blank spaces on the board with sugar cubes and a teapot and continuing to rearrange. Without fail, every time they took a photo, Janet and Tanya worked ideas off each other and together created a perfect setting that even a beginner like me could take a photo off. Having looked at the photos now, it is hard to believe these were taken in a room above the Bankstown Library. The workshop went for 2 hours, lots of camera snapping and touching up the food. It was a great experience to witness how the pros do it in the industry. No matter how long it takes, they are dedicated to getting the perfect photo. This was a great experience and to have shared this with the other food bloggers who attended was quite a privilege. We were all very snap happy with our cameras, as we normally do when taking photos of food! This class was organised by the Bankstown council, they are currently hosting a completion at the moment for snapshots of food. 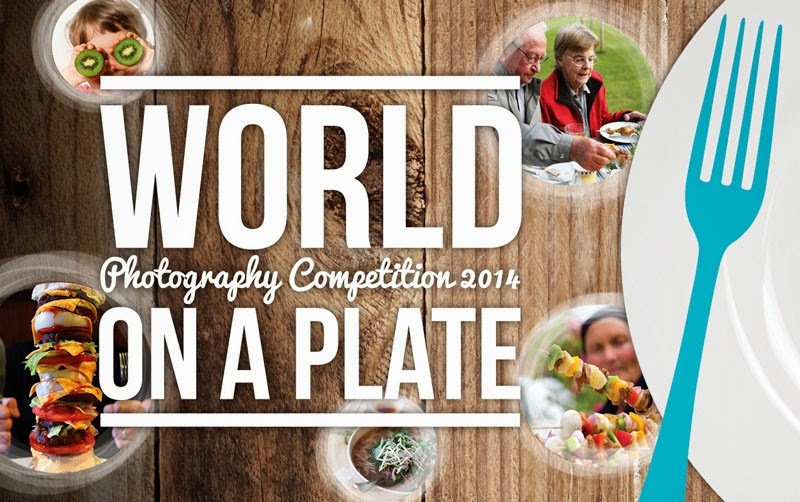 The World on a Plate Photography Competition is a great way to show your passion in food photography. There are major prizes up for grabs, such as a Fantastic Furniture $1000 dining setting. Check it out! You got to be in it to win it! Food in photos are usually in odd numbers so it looks better in the image. If you are going to add cutlery in your images with food, use cutlery you would use to eat that particular food item with. Buy cheap flash reflector boards off ebay and they even fold up and fit in your handbag. Attention to detail, Tanya and Janet have a very keen eye for detail and they told us to pay more attention in our own photos. This includes crumbs and food stains. Council pick up is the best time to go looking for props for photo shoots. Experiment with different ideas, you never know what works until you try it. To revive your greens such as basil and lettuce, leave in a cold steel bowl for a few minutes and it will come back to life and look fresh. Tripod is great to take these overhead shots. If you take pictures of messy foods like a slice of lasagne, make sure to do it after its refrigerated so it’s easier to control for the photo. Spray can colour your props as it is hard to find cheap gold items. Next Stop: Food was invited to this Master Class. All comments are based on my own opinions. A big and warm thank you to Jieni and the Bankstown Council for the invitation and thanks to Tanya and Janet for an insightful afternoon. It was a great experience! I highly recommend going to something like this if you have the time one day. Looks like a great session! Always fascinating to learn about others' tips and tricks.